It was a princely state in the colonial times. The state at present, is just gearing up for the contemporary trends in tourism. 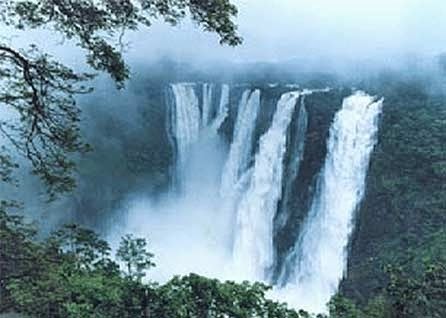 Tripura, best known for rich natural landscape, is quiet region compared to its sister states in the North Eastern India. Agartala, the capital city of Tripura is the most visited city. Accommodation with wide range of hotels and resorts and connectivity make Agartala a possible tourist junction in Tripura. People of Tripura feel proud if you mention the name of Indian legendary music composer late S.D. Burman. S.D. Burman, possessing a royal inheritance in Tripura, was born and brought up in present day Bangladesh. But, he is considered an icon of Tripura till today. Another legendary personality, the poet Rabindranath Tagore also is respected highly in this state. He seems to have great affinity with the Manikya rulers of Tripura. So, you would win the hearts of Tripura people by mentioning these two famous personalities! Total 19 tribes live in the state. The Kokborok speaking community is the main dominant tribe among all. At present the state houses mixed culture. Influence of Bengali culture on food and festivities is apparently visible. Agriculture is the main activity here. Tripura borders Myanmar in the east and Bangladesh in the west. How to reach: Agartala is well connected by road, rail and airways. Flights are available from Agartala to Delhi, Kolkata, Imphal, Silichar and Guwahati. You would get connecting flights to other cities. Agartala is connected to Assam, Dhaka and Comilla by train. The state is connected by only one National Highway and that is not in good condition. What to buy: Buy Bamboo and Cane products and Tripuri traditional dress. Tripuri traditional dress consists of three parts out of which only two parts are worn nowadays. The pattern will be somewhat like wrap around and a top, but it is known as Rignai (wrap around) and Risa (top). What to see: Most visited city in Trpura is Agartala. Other parts of the state could be reached by buses and taxis. Interiors of the state can offer government guest houses and low budget hotels. The city boasts of having a rich historical connection with the Manikya rulers. The city was the capital of the Princely State that ruled over the region. Ujjayanta Palace, Museum, Sukanta Academy, and Purbasa Emporium are the main attractions in the city. It is at about 178 km from Agartala, is a place of attraction from archeological point of view. This place is known for stone carvings on a hill belonging to 7th/8th centuries. These rock carvings of Shiva and other gods are situated randomly on a hill. Imagine a hill comprising carvings on its huge rocks everywhere! Also visit Debtamura and Pilak sites. it is considered one of the Shakti Peethas in India. The place is located about 55 km from Agartala. This is located at about 40 km from Agartala and is a good place for bird lovers. This is at about 250 km from the capital. This is a beautiful hill station comprising orange gardens. Visit during winter months to see orange trees bearing orange fruits.